Evette Mashaal lived in Baghdad until she was thirteen. While walking in the streets her long, blondish hair had to be braided so as not to attract too much attention. Before migrating to Canada, she cut her hair short, upsetting everyone in the family. 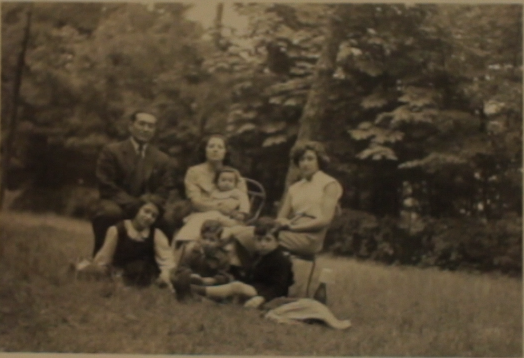 She convinced her mother to buy her pants in order to suit the modern image she had been seeing in fashion magazines. On her very first day at her new school in Montreal, not only were all girls wearing skirts and dresses, but ponytails held with elastics! As a child in Iraq, Evette remembers sitting at a table on the floor to clean the wheat and bring it to the mill to turn it into flour. With it they would make a type of flat bread that she replicates every year for Passover with her granddaughters in Westmount. Baking is one of their favorite activities together. 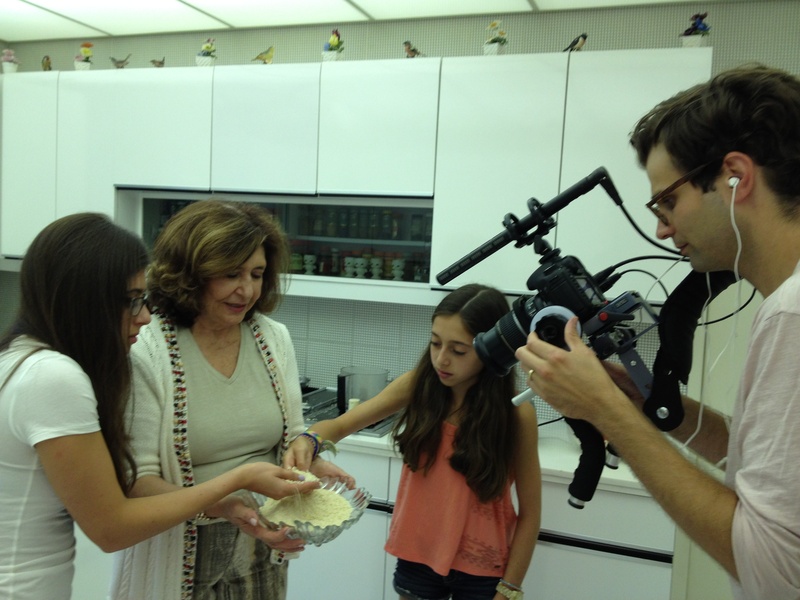 A few weeks go we met Evette, Jennifer and Samantha to shoot the making of massafan cookies, which families in Baghdad would bring to one another during Passover. Evette never actually copied a recipe, but created her own based on her palate and the conversations she overheard amongst other women in Iraq. She wrote it down for a cookbook she put together for her granddaughter Samantha’s Bat Mitzvah. A big thank you to Evette and her family! The episode will be out in the next few months. ← Here is Episode 1!